This page is dedicated to those teachers and friends that have passed on. If you have a picture or a note to add about a person, please send it to me and I'll add it as soon as I can. Make sure your information is correct before sending it to me. Ed was a fantastic Science teacher and Soccer Coach. Ed passed away from pancreatic cancer in 1998 (thanks, peter!). 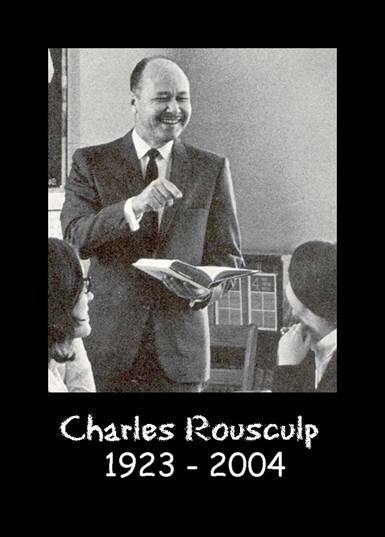 Charlie Rousculp passed away on February 8, 2004. He was 80-years-old. He touched and enriched the lives of everyone he met. Charlie taught in the Worthington School system until 1985. He retired on January 27th, 1985 and that day was named "Charles G. Rousculp Day" in Worthington.